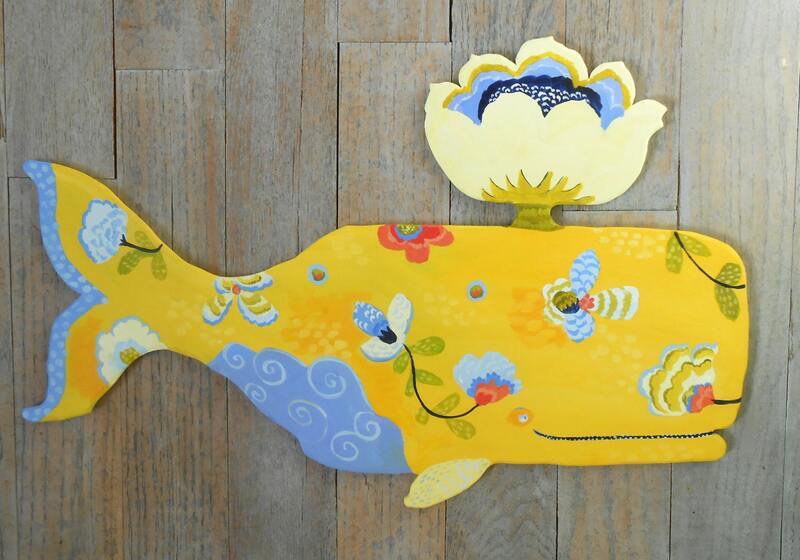 Lotus Whale Wall Wood Sculpture. 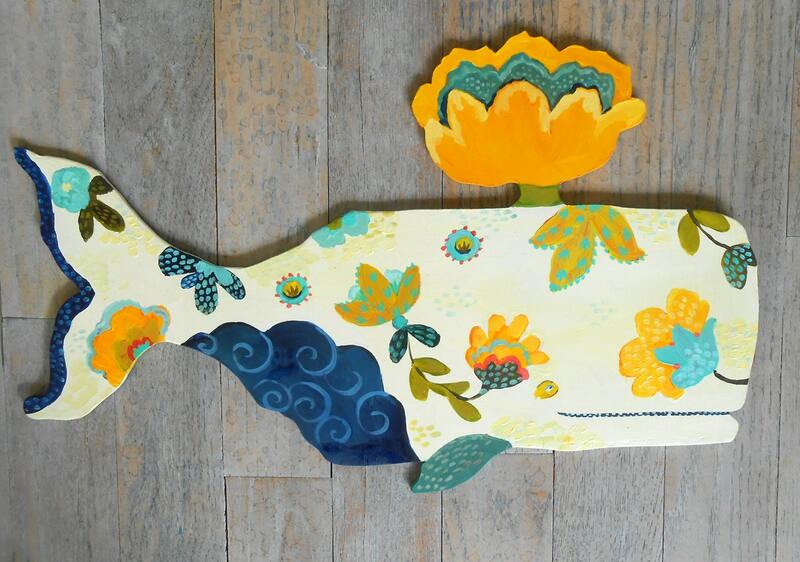 A friendly exuberant whale spouting flowers and waves of life force. This is an original painting on scroll cut wood; it is not a print! I hand scroll cut wood on my scroll saw then sand and lovingly hand paint directly on the wood with liquid and acrylic stains. It is signed on the back and has metal hangers for easy installation. I call this series my "Flow and Flower" whales because I love the idea of flowing through life and flowering as you go. When we keep it all moving and flowing we blossom, right? 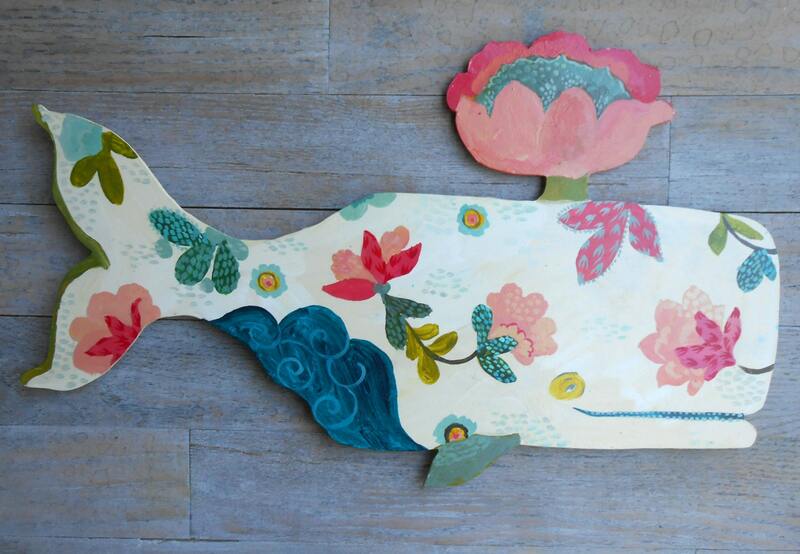 :) I have loved whales ever since I was a little girl. Sperm whales apparently have the biggest brain on the planet. 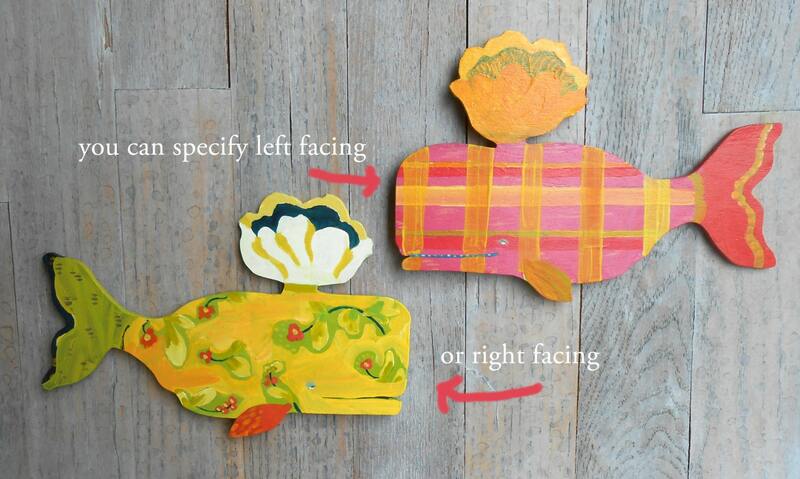 You can specify if you would like the whale left facing or right facing in the customer notes. Wood orders generally ship within two weeks of your order. If you need something sooner please convo me. Orders ship USPS and a tracking # will be emailed to you when I ship. **If you are an international customer and just ordering a baby size the shipping charges will be less expensive than listed on shipping section, so please let me know before ordering so I can adjust the shipping. Received quickly and as described. 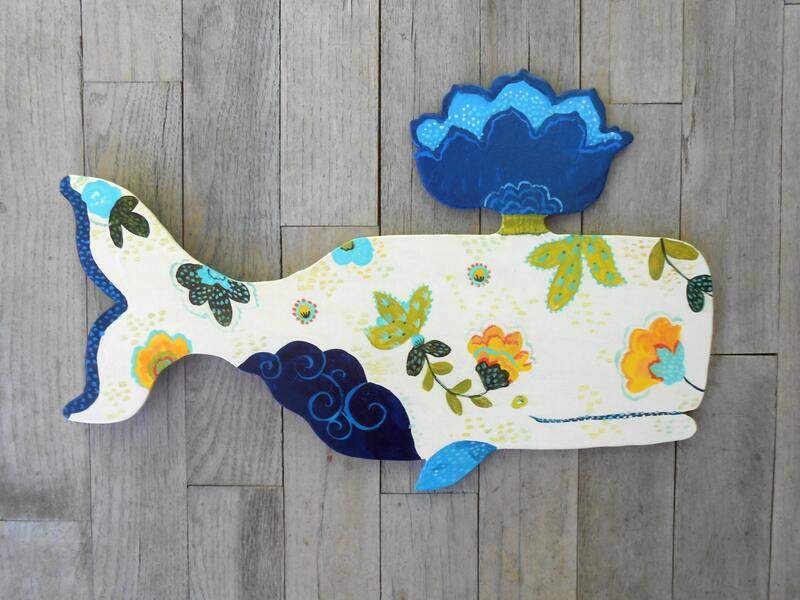 Very cute and will match the walls perfectly. Thank you! Wow, even more beautiful than I imagined it would be! Your work and craftsmanship is amazing and beautiful! Customer service beyond expectations! My parents are going to LOVE this for their beach themed home! Thank you so much! Such beautiful detailed art!! I love my whales, thank you!! !